#10YearChallenge is the most trending topic on social media in the recent past. All of sudden, People began drawing comparisons between photographs from 10 years back and the present date. Singer Chinmayi lashed out at a funny meme mocking Priyanka Chopra with the 10 Year Challenge hashtag. 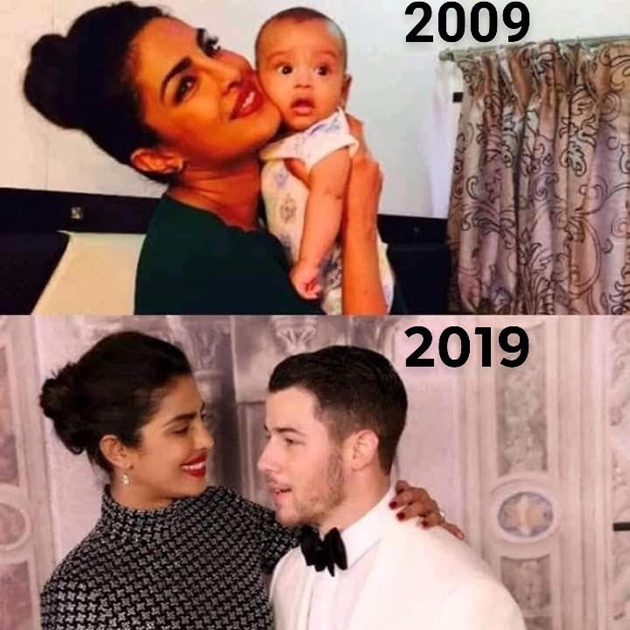 In the meme, Pee Cee was seen holding an infant affectionately from the year 2009 and in the other one she was found hugging her hubby & American Singer Nick Jonas in 2019. 'Anyone see how mean this meme is? A woman marries someone younger and it is a meme in a 10 year challenge. Casual sexism ain't cool,' she opined. The Playback Singer feels India is a country where men marry women 25 years their junior. She added, 'Elsewhere in the world 60 year olds marry children and no one bats an eyelid'. Chinmayi never hesitated to voice her opinion on any topic. She was the one who took the #MeTooMovement in India to the next level by sharing her story and also those of other victims.